You can also cast a vote for your favorite actor, actress and web series couple/duo. Voting ends Wednesday, October 7 at 4 p.m. ET (one vote per person per day). 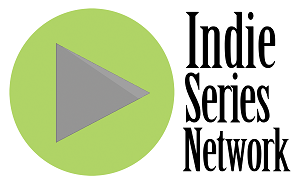 Web series that aired one or more new episodes from September 26-October 2, 2015 are eligible. If a web series aired this week and is not on the list, cast your vote as "Other" and write in the name of the show. - About Us Season 2 Episode 2 "Two Redheads"
- Anyone But Me "Lost Scenes, Part 5"
- Black Season 2 Episode 4 "Contact"
- Carmilla Season 2 Episodes 35 "Not Afraid" & 36 "The Execution of Carmilla Karnstein"
- Classic Alice Episodes 87 "The Bridal of Death" & 88 "Confessional: John Brodribb"
- From Mansfield With Love No.86 "Get Well Soon" & No.87 "Taking Advantage"
- The Hollywood Unit Episode 3 "Jackie Doe"
- How I Seize It Episode 183 "Smoking Cessation"
- Jill & Jack Episode 11 "Jill and Jack do Magic Mushrooms"
- The Misselthwaite Archives Episode 39 "Lost and Found"
- Not So Union Episode 4 "Ego, The Great Killer"
- Oh $#%+! I Woke Up in Colorado Episode 5 "The Capitalist Pizza"
- The Realm Path 8 "Harbinger"
- Remainder One Episode 12 "So Close"
- Shades of Bad Episode 19 "The Fly"
- The Soliloquies of Santiago Episodes 19 "Make My Fool My Purse" & 20 "Hell and Night"
- The Under 5ers Season 2 Episode 8 "Advice"
- Under InspeKtion Episode 9 "Accessory to Car Theft"
- Where the Bears Are Season 4 Episodes 11 "Butch Bears" & 12 "Bachelor Party Bears"